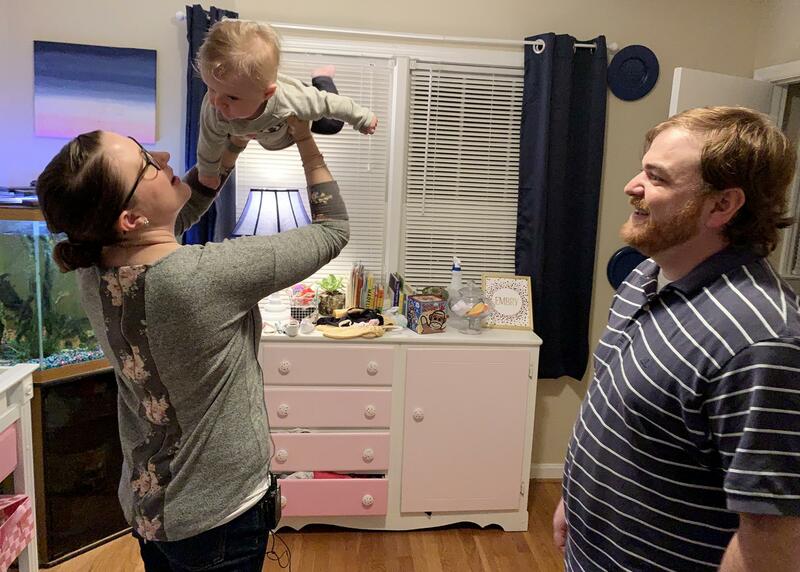 Jenna Neikirk and her husband, Zach, play with their 5-month-old, Embry, in their apartment in Atlanta. "They took my blood pressure again and they decided to admit me to the hospital," Neikirk, 29, says. "So I was actually in the hospital for a night monitoring my blood pressure, monitoring the protein in my urine." The doctors were making sure her blood pressure didn't get so high as to cause a stroke and that she didn't have symptoms of pre-eclampsia, a condition that can be fatal in pregnant women. When she was sent home the following day, the doctor put Neikirk on bed rest and told her to stop working. She wasn't offered any of the dozens of medications on the market that treat high blood pressure. That's likely because none of those drugs is explicitly approved by the Food and Drug Administration for treatment of pregnant women. "Gestational hypertension itself is a separate condition, and we actually don't have any medications that are developed specifically for that," says Dr. Catherine Spong, chief of maternal-fetal medicine at the University of Texas Southwestern Medical Center in Dallas. The American College of Obstetricians and Gynecologists recommends women with pre-existing hypertension continue to use some blood pressure medications. And the group says women who develop high blood pressure can receive "emergency treatment" with some drugs. Still, bed rest isn't recommended. ACOG cautions against bed rest because there's no evidence that it helps pregnant women and it may even cause harm. Neikirk's doctor's office didn't respond to requests for comment. Neikirk found herself in a situation that many pregnant women do today. They have a medical problem — either that existed before they were pregnant or was caused by being pregnant — and their doctors have to figure out how to deal with it without a strong foundation of medical research to help their decisions. Historically, pregnant women have been excluded from medical research, because scientists and ethicists were concerned that experimenting on them could hurt them or their fetus. "Pregnant women are considered a vulnerable population, so, in general, researchers aren't permitted to experiment on pregnant women," says Jacqueline Wolf, a professor of the history of medicine in the Department of Social Medicine at Ohio University. Researchers have to take special precautions to do studies on vulnerable populations, including children, the mentally disabled, incarcerated people and pregnant women. So researchers typically exclude these groups to get their studies approved. But one result is that doctors caring for pregnant women have fewer tools to care for them when they're ill, Wolf says. "That's where the irony comes in," she says. "Because researchers are hardly ever permitted to conduct trials on pregnant women, we end up experimenting on pregnant women all the time, because we can't accumulate a solid fund of evidence. So we just stick with the old standards, or we introduce new things without doing trials on them." When a woman gets pregnant, her pre-existing medical conditions don't disappear, says UT Southwestern's Spong. She lists a litany of conditions — autoimmune disorders, diabetes, hypertension, infections, asthma, preterm labor, gestational hypertension or hyperemesis -- for which there are few therapies that are specifically developed for or tested on pregnant women. "If someone comes into pregnancy on anti-hypertensive medicines, commonly they will continue on some type of anti-hypertensive medicine during pregnancy," Spong says. "However, we don't have information about how that medicine should be dosed in pregnancy." She says when women are pregnant, their blood volume doubles and their liver and kidney function change. No one knows how that affects the medication. So doctors across the country find themselves prescribing medications, or taking patients off them, without strong evidence either way. Spong was chair of a federal task force, mandated in 2016 by the 21st Century Cures Act, that studied the gaps in health care knowledge about pregnant and lactating women. The group issued a 388-page report in September that recommends that pregnant women be routinely included in research studies, that the government devote time and money to studying existing drugs in pregnant women and that the government help develop new drugs to treat problems related to pregnancy and breastfeeding. Health and Human Services Secretary Alex Azar is supposed to respond to the task force recommendations by the end of December. He didn't respond to a request made through his spokeswomen for an interview. Over the years, scientists have accumulated observational research on the safety and efficacy of some existing drugs, including blood pressure medications, says Dr. Alison Cahill, chief of maternal fetal medicine at Washington University in St. Louis. And for those drugs that have shown themselves to be safe, she says, doctors usually recommend women continue to use them after they become pregnant. 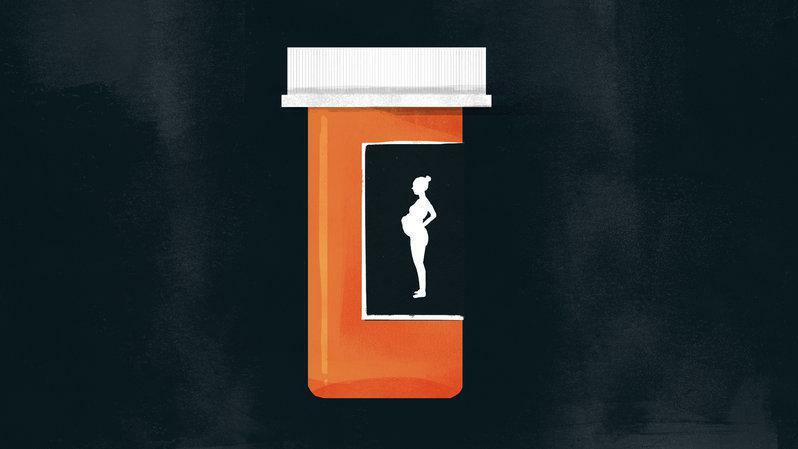 But few studies compare a drug with a placebo in pregnant women, which is considered the gold standard, and few studies show how medications react differently after a woman becomes pregnant. Without that arsenal of well-researched medications, Cahill says she and her patients have to weigh the pros and cons of using a drug, or leaving an ailment untreated. "I actually think that it's one of the most important responsibilities of a physician," she says. "There's always things that we don't know. And I think part of respecting patients' autonomy, and their participation in medical decision-making, is to explain what we know but also to explain what we don't know even if that's hard." Millions of women in the U.S. become pregnant each year. If they have chronic health problems or become ill, causal treatment isn't always clear. NPR's Alison Kodjak reports that's because, historically, pregnant women have been excluded from most medical research. ALISON KODJAK, BYLINE: Jenna Neikirk was nearing the end of her first pregnancy when her blood pressure shot up to dangerous levels. JENNA NEIKIRK: I started feeling splotchy and hot and just kind of uncomfortable. So I took my blood pressure at work, and it was 160 over 120. KODJAK: Neikirk is a physical therapist in Atlanta, and her office was connected to the hospital where her obstetrician's practice was located. NEIKIRK: And so I walked over to the OB office. They took my blood pressure again. They decided to admit me to the hospital. So I was actually in the hospital for a night monitoring my blood pressure, monitoring the protein in my urine. KODJAK: When she went home the following day, the doctor told her to stop working and put her on strict bed rest, even though there's no evidence that helps, and the American College of Obstetricians and Gynecologists frowns upon it. Over the following days, a revolving group of doctors from Neikirk's OB practice gave her differing advice. NEIKIRK: Like, oh, yeah, you can do some light cleaning. Oh, yeah, you can do some cooking. OK, you can go back to swimming and, like, light yoga. I mean, it was just - each doctor had a different opinion on what I could and could not be doing. KODJAK: None of them offered her one of the dozens of medications on the market to treat high blood pressure. That may be because none of those drugs are approved specifically for pregnant women. What Jenna Neikirk experienced during her pregnancy is one illustration of what pregnant women with health problems often go through. Doctors do their best to care for their pregnancy and their illness at the same time with little solid research to guide their decisions. Jackie Wolf is a professor of the history of medicine at Ohio University. JACKIE WOLF: Pregnant women are considered a vulnerable population. So in general, researchers aren't permitted to experiment on pregnant women. KODJAK: Scientists have to take special precautions to do studies on vulnerable populations, which include children, the mentally disabled, incarcerated people and pregnant women. So in practice, they often just exclude those groups. WOLF: That's where the irony comes in. Because researchers are hardly ever permitted to conduct trials on pregnant women, we end up experimenting on pregnant women all the time because we can't accumulate a solid fund of evidence. So we just stick with the old standards, or we introduce new things without doing trials on them. 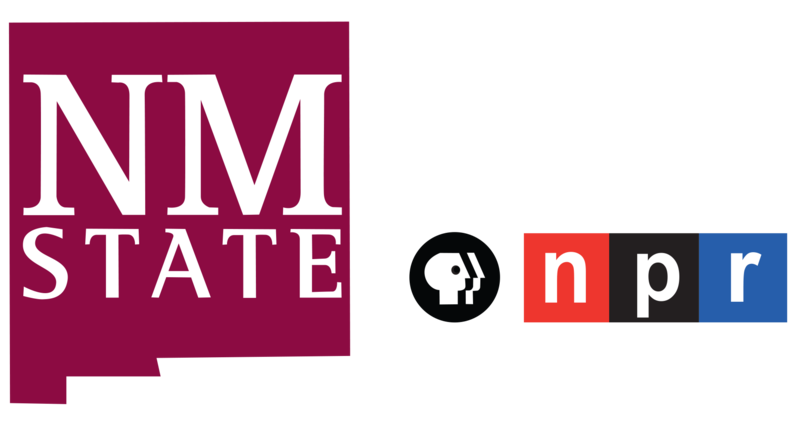 KODJAK: When a woman gets pregnant, her previous health problems usually don't disappear, says Catherine Spong, with the University of Texas Southwestern Medical Center in Dallas. CATHERINE SPONG: Whether they have an autoimmune disorder, whether they have diabetes, hypertension, some type of infection, whether they have asthma, whether they have pregnancy-specific conditions - preterm labor, gestational hypertension or lactation-specific conditions. SPONG: You are putting them more and their fetuses more at risk. KODJAK: Spong was chair of a federal task force that studied the gaps in healthcare knowledge about pregnant and lactating women. The group issued a 388-page report in September that recommends that pregnant women be routinely included in research studies, that the government devote time and money to study existing drugs in pregnant women and to develop new drugs to treat problems related to pregnancy and breastfeeding. Over the years, scientists have accumulated observational research on some existing drugs, says Alison Cahill, chief of maternal-fetal medicine at Washington University in St. Louis. But few studies compare a drug to a placebo in pregnant women, which is considered the gold standard. And few studies show how medications like blood pressure drugs react differently after a woman becomes pregnant. Without that arsenal of research, Cahill says, she and her patients have to weigh the pros and cons of using a drug or leaving an ailment untreated. ALISON CAHILL: I actually think that it's one of the most important responsibilities of a physician. There's always things that we don't know. And I think part of respecting patients' autonomies and their participation in medical decision-making is to explain what we know but also to explain what we don't know, even if that's hard. KODJAK: Health and Human Services Secretary Alex Azar is supposed to respond to the task force recommendations by the end of this month. Alison Kodjak, NPR News.